“I’m gonna cut to the quick/ This is all nonfiction,” Andrew Bird sings in the title track of his new album, Are You Serious. So it is. The years following Bird’s last full-length record, Hands of Glory (2012), were among the most tumultuous in Bird’s life. He moved away from his lifelong home of Chicago, got married, and, just after the birth of his son, learned that his wife had thyroid cancer. The fiddle-toting singer-songwriter makes no secret of any of this in his latest release. Chicago Maroon: I want to start off in familiar territory—for me, at least. You grew up learning violin through the Suzuki method [pedagogical program that prioritizes ear training above reading music], and I was a Suzuki kid, too. Andrew Bird: Yeah, I guess it was the more pure form of Suzuki; there was no reading. It was that whole idea of learning it like you would a language, those same sort of neural pathways, and it all kinda worked. It was all fun and games, and next thing you know, you’re eight, and you can play decently well. I never felt pressured; I never took it super seriously. I always enjoyed it well enough. I wasn’t, like, considered a prodigy, but I was really into tone and textures. When I listened to music I’d almost respond more to the tone of it. CM: Would you say your parents were musicophiles? AB: No… I mean, my mom is an artist, and [learning violin] was sort of her idea. She started with me when I was four, so she did it with me for about two years for solidarity’s sake, and she’s the one that took me twice a week to lessons. She gets all the credit, pretty much. There was a point when a husband-wife teaching duo wanted to take over my life and kind of turn me into a prodigy. She resisted that; she knew it’s just not healthy. I’m glad she did that, too. It was a bit of a shock when I left Suzuki and I started doing orchestra stuff, because I couldn’t read to save my life. But my ear was so big that I could learn a pretty difficult passage pretty quickly. I went to extremes: I would get loop tapes and play them in my sleep, of, like, Strauss’s Don Juan and all the challenging orchestra music I’d have to learn. Because I’d look at the page and I’d just see black. My brain just couldn’t connect that to music. So I’d soak that up as quickly as I could, and my ear would keep getting bigger, and the part of my brain that read stayed small. But that went from learning these difficult passages by ear to learning John Coltrane solos by ear when I was 18. So even though most of my teachers were pretty horrified, it actually ended up serving me pretty well. CM: Pitchfork once called you “Chicago’s best-kept secret”—though you’ve since moved away from Chicago, and it’s safe to say you’re not exactly a secret anymore. But since you spent your formative years and so much of your professional career here, we can’t not talk about Chicago. AB: Well, from high school, I’d drive downtown to lessons and CYSO [Chicago Youth Symphony Orchestra] rehearsals, so I spent plenty of time downtown. Then, I lived in pretty much every neighborhood—well, not every neighborhood, but from Pilsen, to Rogers Park, to Edgewater—all through my twenties and thirties. You know, it was a really encouraging place to be doing what I was doing. I was thinking the other day about the history of Chicago, and how the architecture sort of feeds one’s curiosity about other eras. I mean, when I was 23, I lived in Edgewater in an old apartment-hotel from the ’20s, and I would ride my bike in the mornings to go to the Green Mill jazz club, because they would hardly ever close. It was a different scene in the mornings there, let me tell you. But they had a jukebox with old 45s, and every Saturday I would stay up all night listening to Blues Before Sunrise, a radio show on NPR. They would play old 78s of obscure gospel and country blues and jazz, and I would record it and soak it up. All my twenties were just a whole intensive education—once I got out of school is when the real education began. People say, “Oh, the Chicago blues!” but those are mostly just tourist traps. It was still barely a living tradition when I was young. But Chicago has always had a great tradition of live local music. I would just bounce around between different scenes and check it out. CM: You revisited 2013’s “Pulaski at Night” in the deluxe cut of your latest album, Are You Serious. Where were you at when you wrote that song? AB: I wrote that just after I left Chicago and I was feeling some serious guilt. I almost didn’t want to let people know that I had left, but of course I had to. I’d been there a long time, and places accumulate a lot of… weight, you know, that can be oppressive, sometimes. So for my own mental health I had to get out. But I was kind of processing that; I honestly felt like I’d let people down. “Pulaski at Night” comes from an early memory of driving around Lincoln Square towards Pulaski. I was with my friend, an ethnomusicology major, and she had a student visiting from Thailand, and he said, “I want to see Pulaski at night.” We thought that was the funniest thing we’d ever heard, because you don’t really want to see Pulaski at night, unless you’re into urban decay—I mean, there’s a certain charm to it, and it’s a fascinating street, for sure, but maybe not at night. That memory became more bittersweet after I left Chicago. CM: Speaking of recent records: before Pulaski At Night came Hands of Glory and Break It Yourself (2012). Those were both recorded mono in your family farm, right? AB: Yeah, I made a couple records out there. I fixed up this old barn a few years ago, with the intention of it being a studio, and it just kind of became a place where I figured out a new way of making music. That’s where I did Weather Systems, and I discovered a more true source in myself of what I’d absorbed over the years. I really had to isolate myself to find that. It wasn’t until years later that I figured out how to make a record out there. Hands of Glory and Break It Yourself are scrappy records, the way we made them: everybody in one room, making music a few feet from each other, to 8-track tape. That was intentional—I got kind of tired of production. I would hear records, and hear decisions being made, not music. I wanted to just do something that was so clearly real, and real-time. I don’t know if that translated; it felt extraordinary at the time, but it shouldn’t be that extraordinary, just playing music together in a room. But with this last record, I went back to embracing production to a certain degree. It’s still very live, but I had taken it to an extreme with Break It Yourself. CM: In that way, I see the albums you’ve done between 2012 and Are You Serious as explorations of space. I’m thinking of course of Echolocations: Canyon, especially. Could you speak to that, especially seeing as Canyon is the first in a series of acoustic experiments? AB: Yeah, there’s going to be four, and they’re sort of elementals to some degree: there’s Canyon, River, Fog—which I recorded in the headlands around San Francisco, in an old bunker—and the last one [Aqueduct] was recorded in an old aqueduct in Lisbon. Later, I realized that they all have to do with water, which wasn’t part of the plan. But they’re all extraordinary outdoor spaces that have an acoustic property to them. I became fascinated with that. First, it was indoor spaces, which is sort of what Gezelligheid [Bird’s winter concert series in local churches and synagogues, roughly meaning “coziness” in Dutch] is all about. So I thought, “What if I played to the room, but it was outside?” Then you’re doing kind of a sonic map of your environment, where the feedback of the surfaces around me tells me what to play next. So, in Canyon, [there’s a track called] “The Canyon Wants to Hear C Sharp,” because every time I played C-sharp, I’d get the most feedback from the environment, so I built the composition on that note. So I’d come in without much of a map, really, then have it reflect the environment as much as I can. All of my side projects have something to do with this: Gezeilligheid, Echolocations, and now Live from Great Room [concerts streamed from Bird’s living room via Facebook Live] is kind of a similar concept, too. CM: As you said, you’ve gone back to a more produced sound with Are You Serious, but content-wise, it’s probably your most personal album yet. How did you go about taking four years’ worth of emotional material to put together this album? Did these tracks come from the calm after the storm, or from the middle of it? But I can still make choices: like, I’m not the kind of writer who would take the content of the song “Puma” and make it a morose song, musically. It’s actually a pretty celebratory piece of music—as I think it should be, because I’m celebrating someone’s courage and what makes them extraordinary, not the issues of their illness. One thing’s stayed constant: if I do something macabre, there’s a humor and lightness to the lyrics, and vice versa. I’ve been doing that from the beginning, when I used to take German lieder that I thought was ridiculously Romantic and messed with the settings of those texts to catch them in a different context. So, to answer your question, I guess I didn’t set out to make a personal record, but so much had happened in that four or five years that it would have been conspicuous to not write about it. I call the record Are You Serious because I surprised myself; I never thought I was that confessional, for whatever reason. I guess I’m not a big sharer, but I’m a songwriter. It’s a strange thing. I’m a very private, insular person, yet I’m doing this thing in front of thousands of people. All my songs are autobiographical. The question is how close to the surface they are. 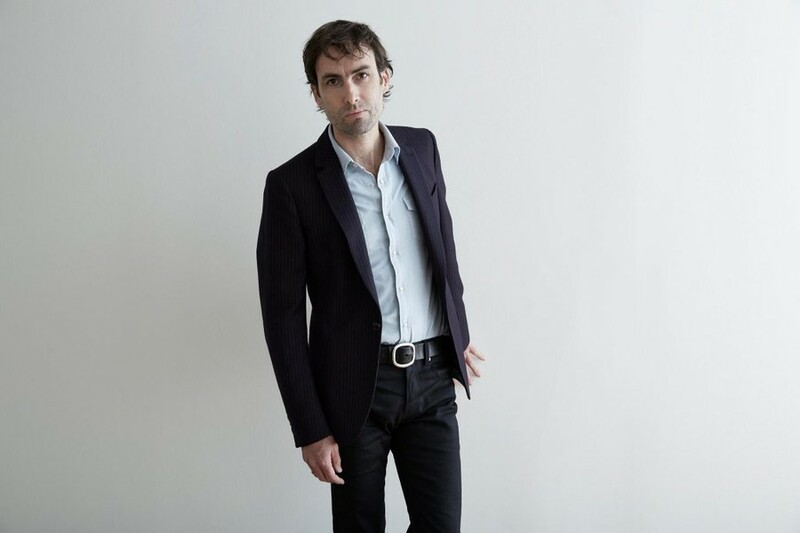 Andrew Bird plays Jay Pritzker Pavilion with singer-songwriter Margo Price on September 7 at 7 p.m. (doors at 5:30 p.m.) Tickets available here. For each ticket sold, $1 will be donated to Everytown for Gun Safety, an organization working to prevent gun violence.